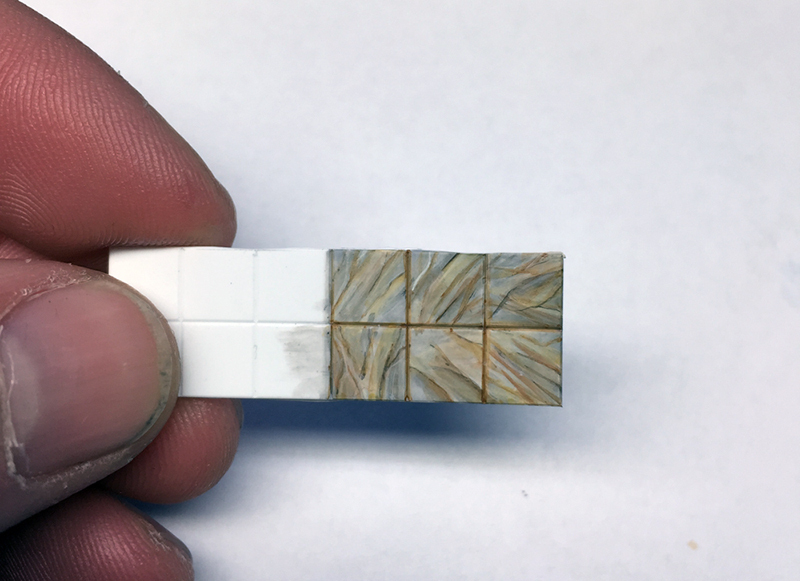 I got asked about how I painted the marble on my Malifaux Lawyer (or his base actually) so I will try to summarize my experiences and try to recreate the steps. First of all, marble can look in many way´s and while I feel that the actual colors aren’t as important as the way of thinking while painting. Pretty much any colors can be used to do this effect in many ways. 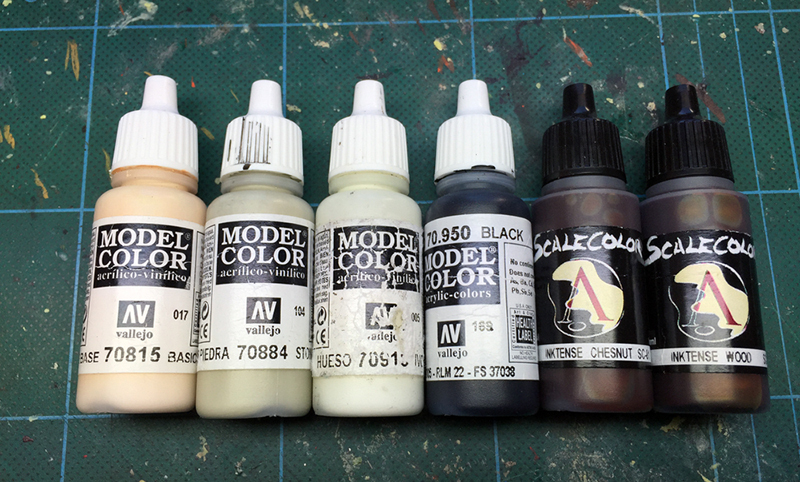 I started with some paints from Vallejo model color as well as some ink´s from Scale 75. This is what I used. 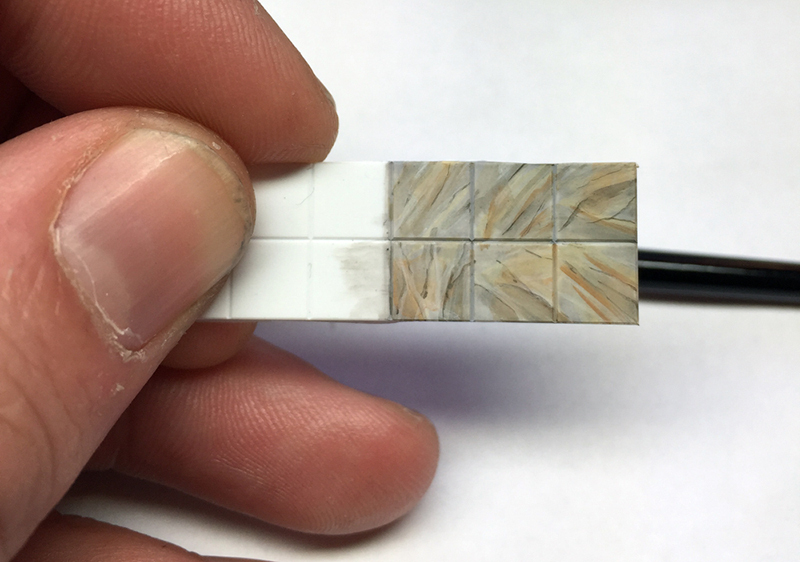 One important thing when painting marble is to work with long brushstrokes and not overthink everything. 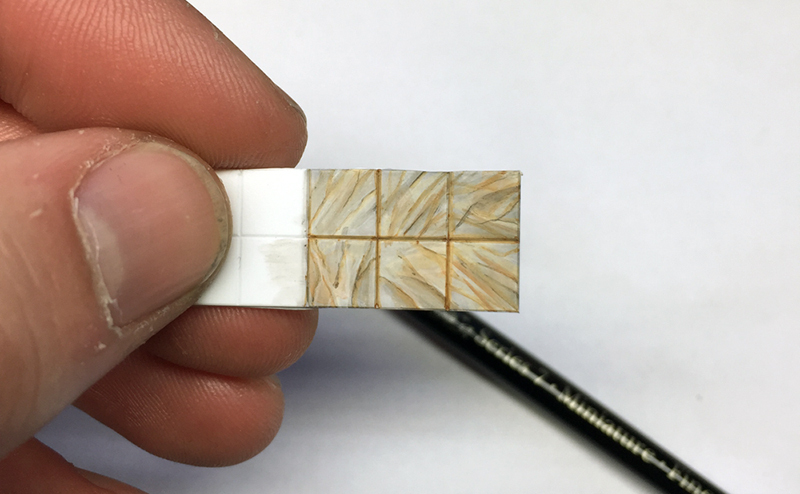 Marble works in irregular ways and that´s what you want to recreate. I keep my colors rather wet and use a wet-palette, thiss is howw it looks before painting. 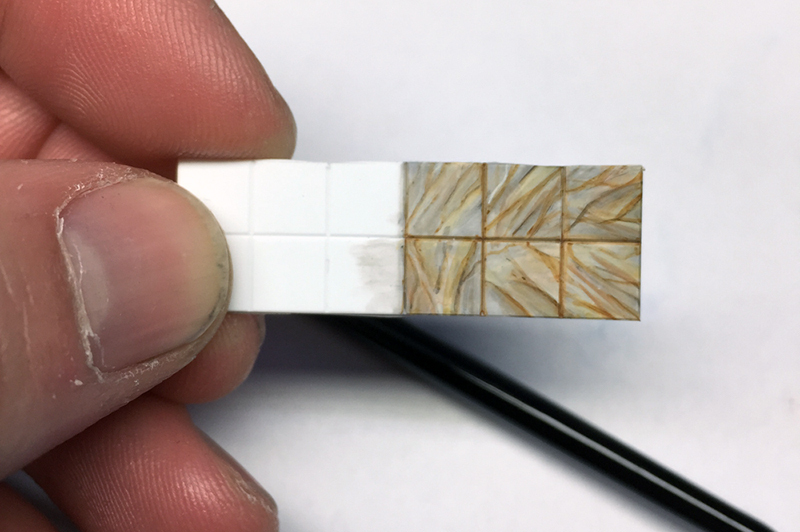 The first step is to mix some parts of the basic skin tone with Stone grey and start to paint long brushstrokes, remember to paint them in fairly the same direction. For the first step I start with the mix of the Basic skine tone and thee Grey stone. Just do some long strokes and remember to treat every section differently. I then add just a tiny bit of black in this mix, and do some more strokes, trying to follow the direction of the previous once. At last I took some Brown sand and did the same. So far it looks pretty weird, but that will soon change. 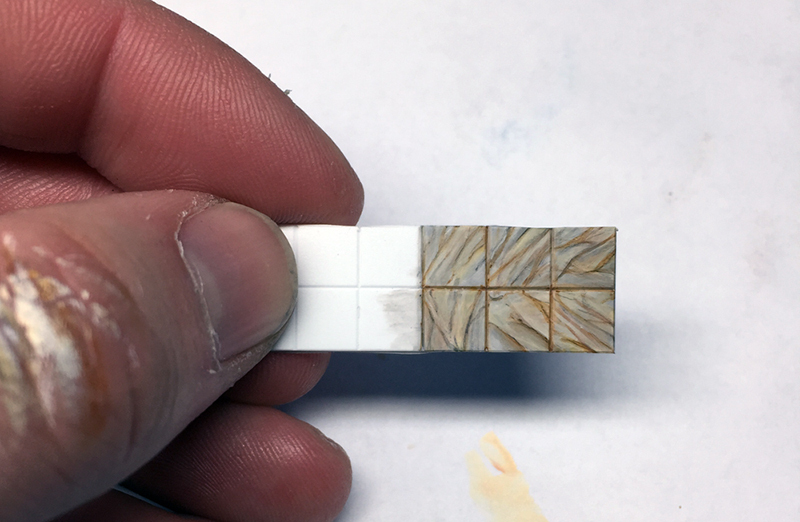 Take some brown sand and dilute it very much, then load your brush and make tiny wet drops at random. 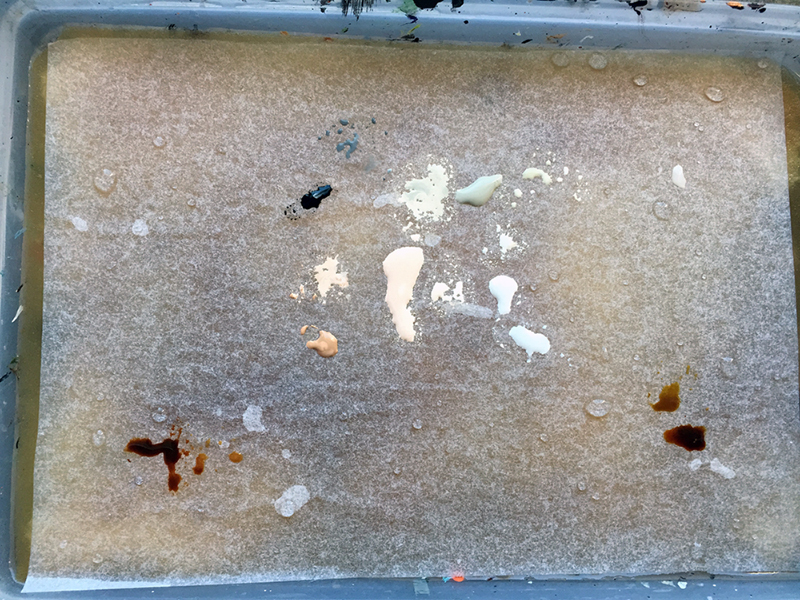 Now clean your brush and wipe it of and work out the drops, there will be rather much water on the piece at the moment so leave it to dry for a while. So have a cup of coffe or tea and relax a bit while it dries! Once it has dried I took a mix of Stone grey and Ivory and draw thin lines at random, keeping the direction in mind. It will still look rather messy but that will soon be alright. 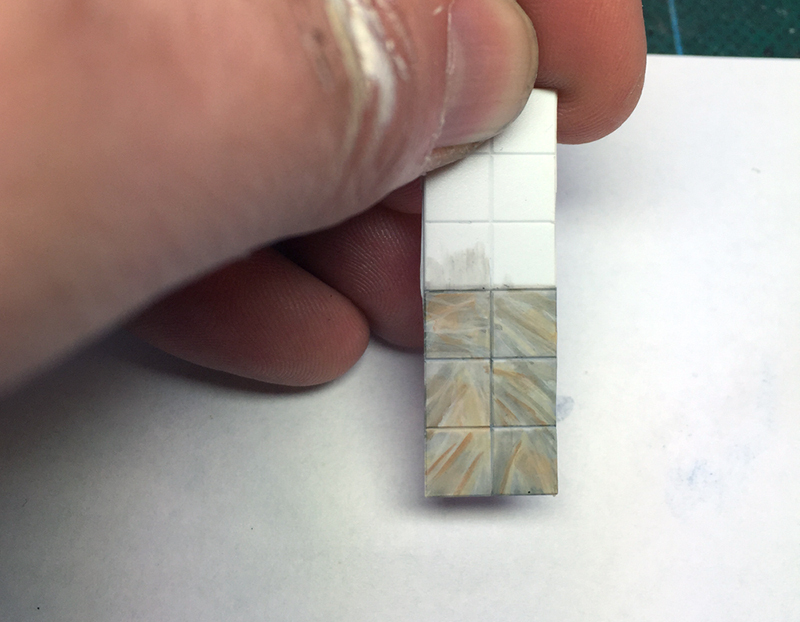 Now it´s about time to start to do the marble effect and for that I used a mix of Brown sand with a tiny bit of black (should be a bit greyish). and draw thin lines. Now you can see that the effect starts to appear. I then mixed Brown sand with some chestnut ink and draw lines next to the dark lines. At this step your lines can be a bit bigger then the dark once since it will look good that way. 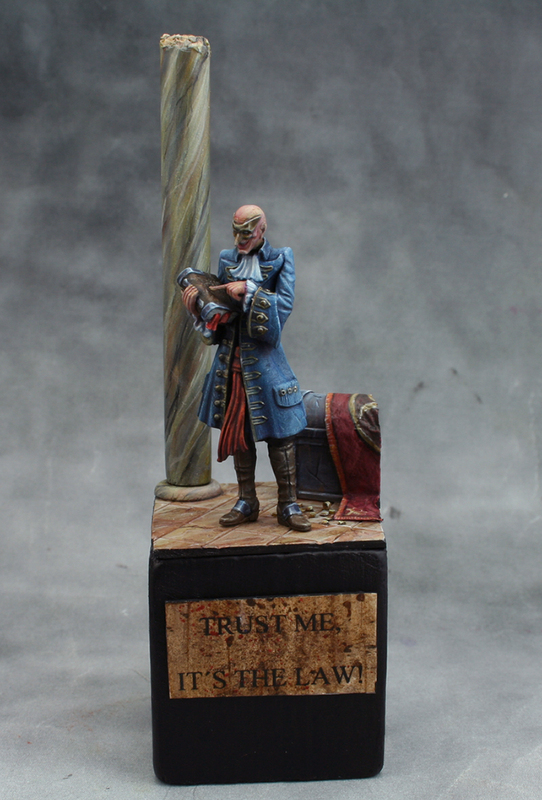 for gaming miniatures you can actually stop at this step, but I wasn´t compleatly satisfied so I continue. 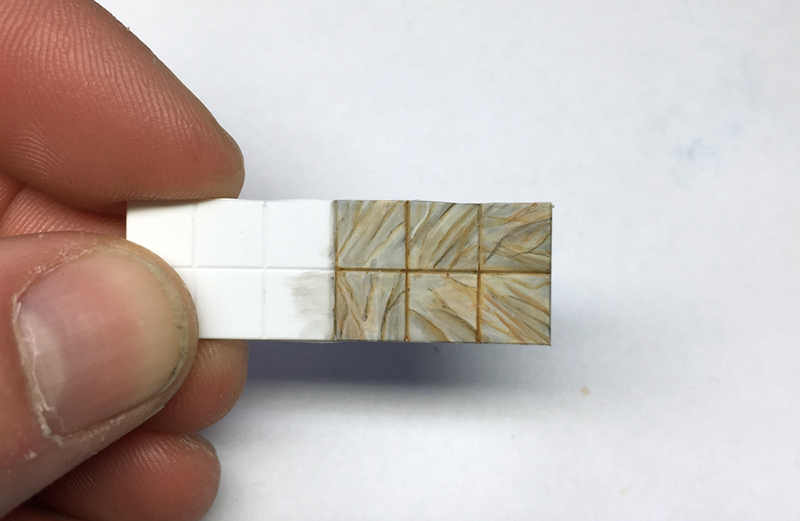 I then took some pure Ivory and defined some parts with “white”. Then I took some Inktense wood and gave the “white” parts a light glaze. I wanted it to have a bit mor “red” look so I added a glaze of chestnut ink. Then I took pure black and redefinate some dark lines. Finally I took Basic skintones and ivory and did some parts lighter. It´s all up to what you prefer. At this stage I would stop on some plates and work more on others, I would even define some lines with pure Ivory, you just have to decide what look you like the most. Once it is done I will give it a coat of Satin varnish to give it a bit shine. If you like you can draw some tiny cracks on some of the plates but in this example I didn´t do that. 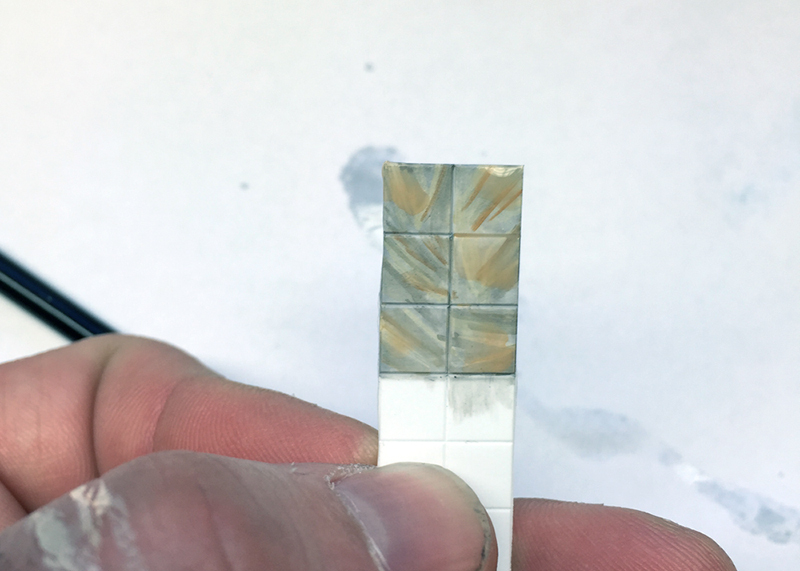 This won´t look exactly as the marble on the Lawyers base, but this example took me about 20min to do and I did plenty of more steps on the Lawyer. 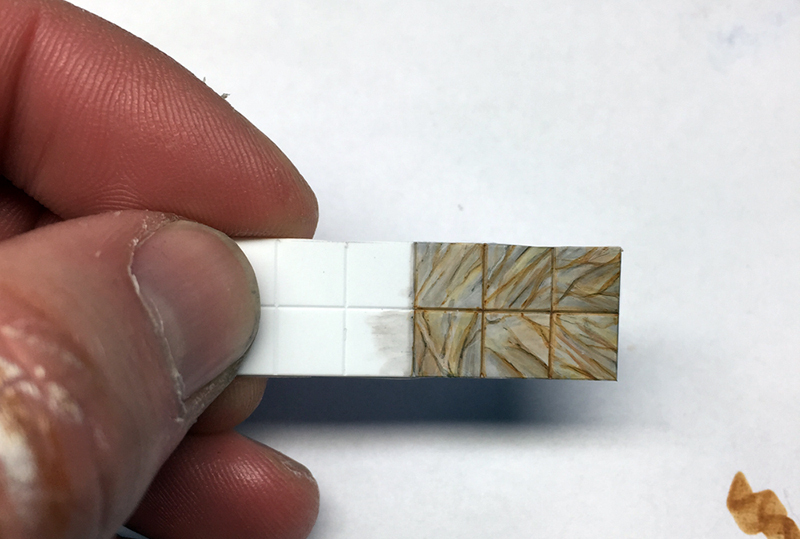 I also used the same techique on the column but changed the colors a bit, i used more of the Inktense wood on that part and a few more steps with the chestnut ink on the floor for example. 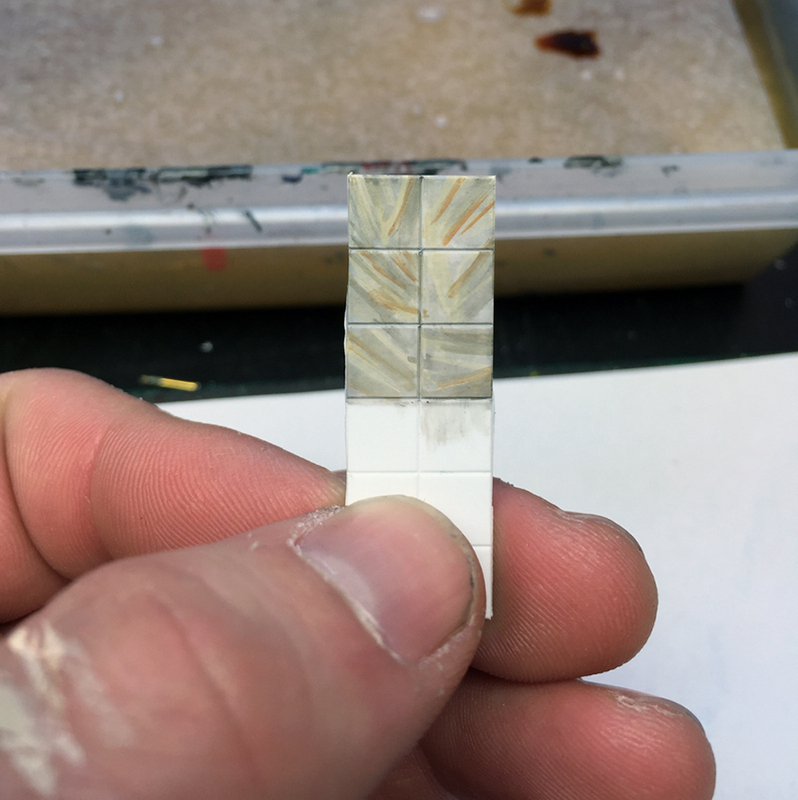 I hope this will give you an idea about how I painted the marble. Untill next time, keep your brushes pointy and your colors wet!